FORT ST. JOHN: BC Hydro is donating nearly $30,000 to support three Peace Region non-profit groups through the Site C project’s Generate Opportunities (GO) Fund. The program, which is administered by Northern Development Initiative Trust, supports organizations providing services to vulnerable groups, including children, families and seniors. 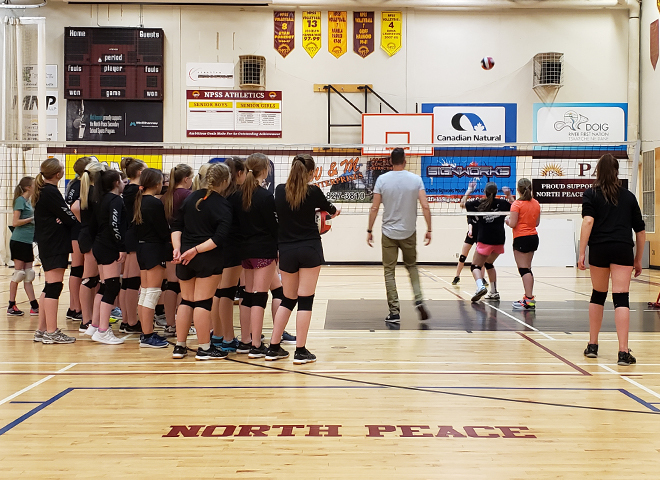 The Northern British Columbia Volleyball Club used their recent GO Fund grant to hold a free community volleyball camp, led by a national level coach. In total, 68 youth between the ages of 12 to 17 participated in the camp. This is the ninth time grants have been awarded from the $800,000 fund, which was established in September 2016. So far, $316,489 has been distributed to 34 projects. Applications for funding are accepted on an ongoing basis and funds are distributed quarterly over an eight-year period.